One of the most frequent questions we hear when speaking with teachers is, "What is boclips?" Simply put, we are the world's largest educational video library. With over 2 million videos and growing, we offer the best in YouTube EDU, current new and archival news, as well as the ability to trim videos to just the right length for students. The next question we hear is, "What does the boclips name mean?" It has to do with the Bodhi Tree. Just as Buddha was enlightened when he sat under the bo tree, great video can spark imaginations and inspire students, whatever they’re studying, wherever they are. 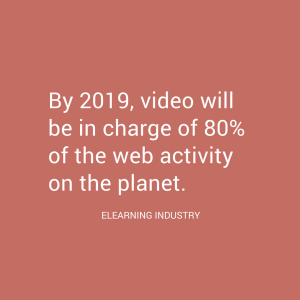 Forecasted to account for 80% of all the content on the internet by 2019, we believe video must play a proportional role in the classroom moving forward. All of that being said, we want to get you involved early in the process! Currently, we're gearing up for a fall 2019 BETA launch. We've got two great opportunities for you to get involved. One is as a member of our Teacher Advisory Panel and the other is as a boPRO. Our Teacher Advisory Panel (TAP) members help keep us current and up to date in the content we offer. We reach out to our panel members as Subject Matter Experts (SME) to review content and help with curriculum alignment goals. TAP members are called upon on an as-needed basis and have helped us identify new content partners and provided feedback for the shaping of the boclips for Teachers platform. If you're interested in getting involved in content reviews, surveys, interviews, and product trials, we'd love to have you fill out an application. Our team of boPROs often assist with the same tasks as TAP members. In addition, our boPROs serve as guest bloggers and as guest speakers for our boclips webinars as well as present at education conferences and meet-ups. If you're interested in writing for us or presenting a webinar or at a conference on behalf of boclips, please fill out an application. We're excited about video. We're excited about education. And we're really excited about video in education. We can't wait to work with you! Make sure you get social with us and follow us on Twitter, Facebook and Instagram as we gear up for our fall launch!